Emily Bronte wrote Wuthering Heights, Charlotte Bronte penned Jane Eyre, even their brother Branwell has become infamous for his attempts at poetry and equally his perpetual drunkenness. But Anne Bronte? Can you name what she wrote? 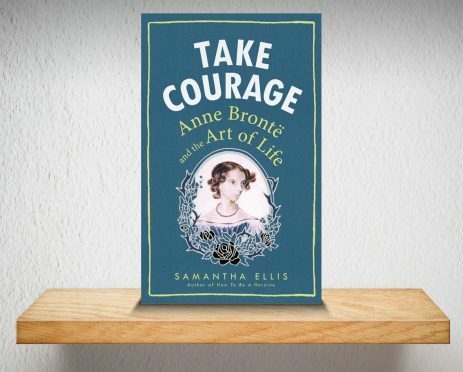 The target of playwright Samantha Ellis’ Take Courage is just that, history’s unfair dismissal of youngest Bronte Anne’s work, her relegation to the role of the ignored “other sister”. It’s a robust, emotionally charged defence of the writer, whose death aged 29 left us with just a handful of poems and two novels to read, Agnes Grey and The Tenant Of Wildfell Hall. Ellis’ main problem is that there is very little information, and very few certified facts, on which to build a whole picture of Anne – her hair colour can’t even be agreed upon – but the one she does manage to draw is of a woman misunderstood by historians and obscured by her sisters (Charlotte burned a lot of her work after she passed away), despite a mind blindingly sharp and progressive. Take Courage certainly begins to right the balance, however, Ellis distractingly puts a bit too much of herself in at times – another voice that quietens Anne’s.